Today’s episode of Yeh Rishta Kya Kehlata Hai starts with Suhasini telling everyone that the marriage will be grand with all the functions. Naira (Shivangi Joshi) says that Samar also wants the marriage to be simple, Suhasini gets angry and tells if Naira wants to decide then why is she asking her opinion. Rama says as Suhasini wants they will do that, Suhasini and all leave the house. 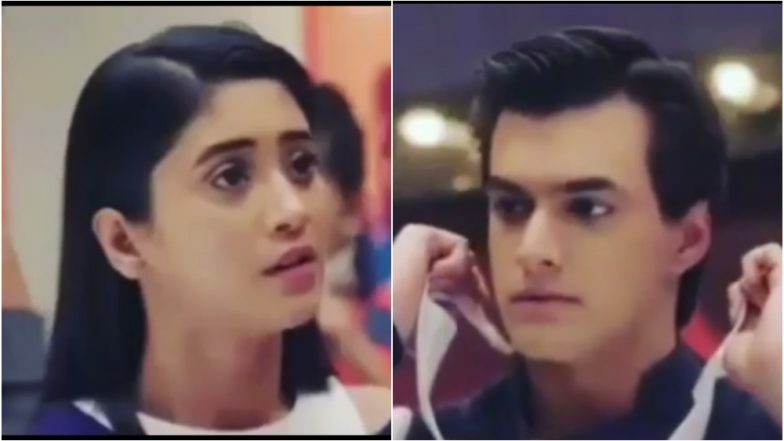 Naira asks Gayu why she does not give her views in anything and except what all is going on, Gayu says that she does not want to hurt anyone and now that Vivaan is not there she has to take care of his child, that is why she took this decision and tells she is happy. Meanwhile, Purushottam is telling Kartik (Mohsin Khan) that he is very efficient in work and tells not to worry about the loss and work hard. Naira and Suhasini come home, Suhasini sees a model and ask what is this, Purushottam tells that this is a project he wanted to do with Anmol but Mansi is not ready for it. Suhasini gets angry and tells let them do what they want. Purushottam says that he will go and make her understand that this project is good for Anmol, Mansi sees them discussing this and flashbacks what had happened with her and gets disturbed. Suhasini and Surekha go for shopping, Manish and Akhilesh also tell they have to go for work. Kartik says that Naira and he will stay back as Naira wants to make special food for Purushottam. Just then Kartik gets a call and he also goes out. There Suhasini tries to make Mansi understand that this project is good for them. Naira is busy in making food in the kitchen. Kartik is stuck in the traffic. Meanwhile, Purushottam comes home and goes to the kitchen, Naira panics seeing him and ask how come he is so early. Naira tells him to sit and she will make tea for him. Purushottam tells her to bring the tea in his room and goes from there. Naira makes the tea and takes to the room, Naira is scared but she goes near him and gives the tea, Purushottam holds her hand, she screams. Kartik comes home and goes upstairs. There Naira is scolding Purushottam as why he is holding her hand, Purushottam tells her to shut up, just then Kartik comes in. Purushottam tells, see the insect has bitten her and seeing Kartik tells him to take her to the hospital for dressing. Purushottam thinks every time Naira is saved but one day he will get her. There Naira is confused as what she is thinking about Purushottam is right or it was just her feeling, Kartik ask what is the problem, she says nothing. Naira thinks she should not tell this to Kartik now as he will be tensed. In the precap, Naira tells that they should tell about Gayu’s pregnancy to Suhasini, and tells her.